Tesla Motors CEO Elon Musk is considering taking the company private, saying it would be less distracting that the "enormous pressure" of meeting quarterly financial targets. Tesla Motors started selling its stock to the public in 2010 — the first initial public offering of a U.S. automaker in more than a half-century. 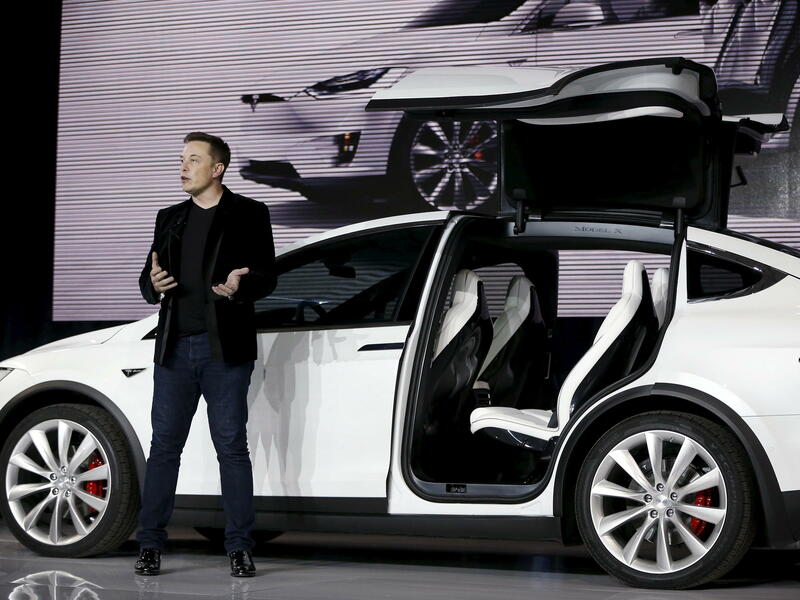 On Tuesday, Tesla CEO Elon Musk said he's considering a reversal — taking the electric car company private. As he often does, the outspoken entrepreneur took to Twitter to deliver the news. "Am considering taking Tesla private at $420. Funding secured," Musk tweeted in early afternoon. Tesla stock was trading at about $355 a share before Musk's tweet. It jumped about 5 percent after the tweet. But later in the afternoon, trading in the stock was halted pending an official company announcement. That came shortly before 3:30 p.m. when Tesla published an email that Musk sent to company employees, saying that no final decision on taking the company private had been made and that it would ultimately be left to shareholders. "The reason for doing this is all about creating the environment for Tesla to operate best," Musk wrote. "As a public company, we are subject to wild swings in our stock price that can be a major distraction for everyone working at Tesla, all of whom are shareholders." Being public "also subjects us to the quarterly earnings cycle that puts enormous pressure on Tesla to make decisions that may be right for a given quarter, but not necessarily right for the long-term," Musk said. "Finally, as the most shorted stock in the history of the stock market, being public means that there are large numbers of people who have the incentive to attack the company." Trading of Tesla shares resumed after the company published the statement and the stock closed at $379.57, up nearly 11 percent for the day. Musk said he will give shareholders a choice: either remain investors in a private Tesla, or sell their stock for $420 per share — a 20 percent premium over the price at the time of the company's recent quarterly earnings call. "This has nothing to do with accumulating control for myself," Musk said in the Tuesday email. "I own about 20% of the company now, and I don't envision that being substantially different after any deal is completed." Earlier Tuesday, the Financial Times reported that Saudi Arabia's sovereign wealth fund has bought as much as 5 percent of the company's shares — making it one of Tesla's biggest shareholders. Musk's relationship with shareholders and analysts has been rocky, to say the least. In May, after Tesla reported a loss of more than $700 million for the first quarter, he dismissed one question on the earnings call. "Boring, bonehead questions are not cool. Next," he said. But in the latest quarterly call last week, Musk struck a more amicable tone. "I'd like to apologize for, you know, being impolite on the prior call," he said. Musk and his luxury automaker have been under immense pressure to overcome repeated delays and deliver on promises of producing 5,000 of Tesla's more affordable Model 3 cars per week. But time and again Musk and Tesla have been given more time to achieve success. "Few companies in the world inspire the fierce loyalty Tesla does," NPR's Jasmine Garsd reported. "When most owners buy one, they are investing in a vision for the future, a world that runs on electric cars."